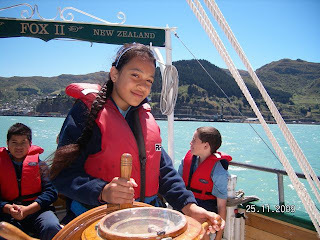 Once again, our Year 6’s did us proud with their Addington Attitude during their Sailing Trip with CanSail in the Lyttelton Harbour yesterday. It was a brilliant day with plenty of sun and wind. We enjoyed the company of three Hector Dolphins during our trip. It was great to see all of the children challenging themselves in a new environment, working with such team spirit and for the teachers seeing our children achieving was magical. It was a pleasure to be part of this wonderful day. 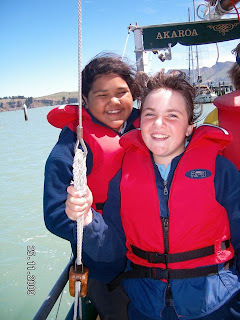 A quote from one of the students, “This is just like being on a family holiday.” - It’s pretty exciting when a school experience can feel like being in a family! 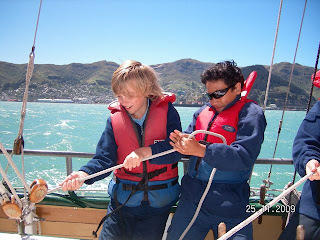 Our thanks go to the CanSail Trust who offered us this wonderful opportunity. Thankyou also, for their financial sponsorship, without it we wouldn’t be able to take part in such a unique and valuable experience.